CARRY-BIKE PRO C FIAMMA TELESCOPIC CARRIER. - 2 RAIL QUICK; BIKE-BLOCK PRO 1 E 3; 2 RACK HOLDER; SECURITY STRIP. The Carry-Bike Pro C can be installed on all camper brands. 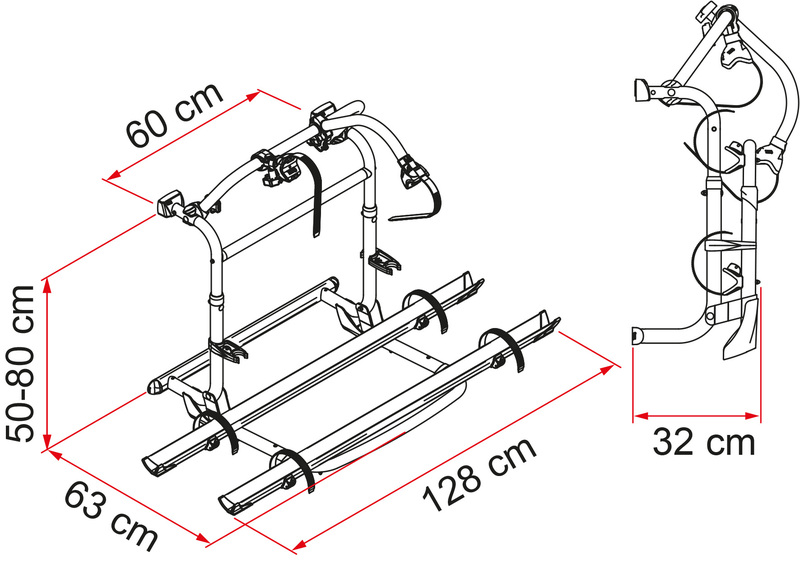 It is recommended by experts in the field because it is the ideal bicycle rack to install under the rear window of the camper, allowing the opening; it is the most compact on the market ..
New updated version with lower brackets with elegant kitsupport bar Bar complete with through screws and counter-tongues for greater installation flexibility: the through screws can slide on the bar to adapt to the different center distances. Complete with the exclusive ZOOM-4 BIKES patented shelf that allows the addition of 2 additional Rail Red Red to carry up to 4 bikes.